- Wyndham Lewis: 'Two Unpublished Manuscripts', 3-10. Wyndham Lewis, 'A Note on Dadaism', 7-10. - Michael Nath, 'Wyndham Lewis: A Review of the Thersitean Mode', 10-14. - Walter Michel, '"Inferior Religions", the Wild Bod(ies), and the Early Stories', 15-23. - Colin Edwards, 'Mrs Dukes' Million: A Case of Escaped Delinquency', 24-33. - Paul Edwards, 'What Were Red Duet? ', 34-8. - Justine Hopkins, 'Portrait of the Enemy as Mentor: Michael Ayrton and Wyndham Lewis', 39-41. - Philip Head, 'The Enemy as Deconstructionist? ', 42-8. 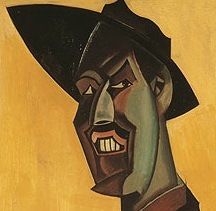 Alan Munton, Review of Andrea Freud Loewenstein, Loathsome Jews and Engulfing Women: Metaphors of Projection in the Work of Wyndham Lewis, Charles Williams, and Graham Greene (1993), 49-50. Charlie Blake, Review of Martin Jay, Downcast Eyes: The Denigration of Vision in Twentieth-Century French Thought (1993) and David Michael Levin (ed. ), Modernity and the Hegemony of Vision (1993), 50-3. Paul Edwards, Review of Andrew Gibson (ed. ), Pound in Multiple Perspective: A Collection of Critical Essays (1993) and Sir James George Frazer, The Golden Bough: A Study in Magic and Religion, ed. Robert Fraser (1994), 53-5. Dennis Brown, Review of Christopher Butler, Early Modernism: Literature, Music, and Painting in Europe, 1900-1916 (1994), 55-6. - Graham Lane, 'Bibliographical Notes for 1992', 57-63.